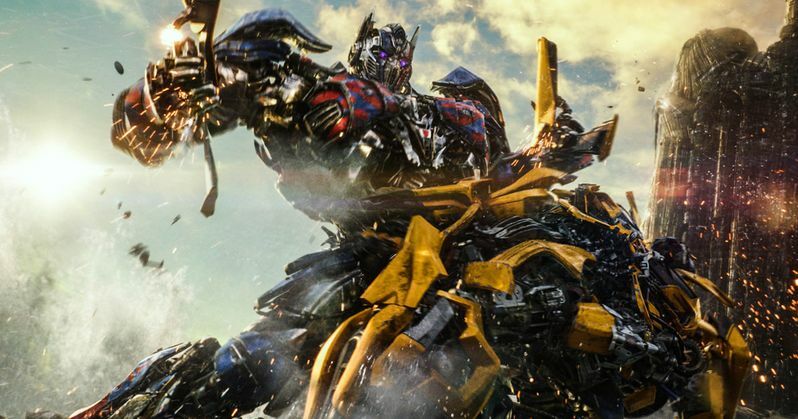 Paramount rolled out its fifth Transformers movie this weekend, and while it came out on top at the box office, it did so with the lowest opening in franchise history. Transformers: The Last Knight won its first box office weekend with an estimated $45.3 million. Its five-day opening, after debuting on Wednesday, June 21, comes in at $69 million, which itself is just below the $70.5 million three day opening for the first Transformers movie, which opened in theaters almost exactly 10 years ago. Box Office Mojo reports that the fifth Transformers movie earned a solid $11,133 per-screen average from 4,069 theaters, but much like its predecessors, the movie suffered with critics, earning just a 15% rating from the critics at Rotten Tomatoes. Still, this entire franchise has proven to be "critic-proof, with each movie earning a "Rotten" rating, while it has also proven its mettle in the overseas market. The movie has performed much better in international markets, earning $196.2 million, for a worldwide total of $265.2 million, from a $217 million budget. Still, the domestic opening shows how this is certainly a franchise on the decline. This franchise shows not only how unpredictable audiences can be, but how front-loaded the industry has become in the past decade. The Transformers franchise kicked off 10 years ago with the first Transformers movie, which turned young stars Shia LaBeouf and Megan Fox into household names. The movie opened well, with $70.5 million, which would represent just 22.1% of its domestic gross of $319.2 million, which was the third-highest grossing movie of 2007, behind Shrek the Third ($322.7 million) and Spider-Man 3 ($337.5 million). The 2009 sequel Transformers: Revenge of the Fallen opened much bigger, with a $108.9 million debut (27.1% of domestic gross), en route to a $402.1 million domestic tally, second highest of 2009, behind Avatar ($749.7 million) and $836.3 million worldwide. Two years later in 2011, the next Transformers movie, Transformers: Dark of the Moon, slipped just a bit, at least domestically, opening with $97.8 million (27.8% of domestic total) en route to $352.3 million domestically but a whopping $1.1 billion worldwide, thanks to the emergence of China as a global box office powerhouse. That movie earned $165.1 million from China alone, whereas the first two movies earned $103 million from China combined. That trend would continue with the last installment, 2014's Transformers: Age of Extinction, which opened with $100 million (40.8% of its domestic total), with $245.4 million domestic and $1.1 billion worldwide, thanks to a whopping $320 million from China alone. The Chinese market will also be integral to the success of Transformers: The Last Knight, and we reported last week that it posted a huge Chinese opening day of $45.1 million. The top 10 is rounded out by Cars 3 ($25.175 million), Wonder Woman ($25.175 million), 47 Meters Down $7.4 million), All Eyez on Me ($5.85 million), The Mummy $5.83 million), Pirates of the Caribbean: Dead Men Tell No Tales ($5.2 million), Rough Night ($4.7 million), Captain Underpants: The First Epic Movie ($4.2 million) and Guardians of the Galaxy Vol. 2 ($3 million). Also opening in limited release is Lionsgate's The Big Sick, which opened strong with $435,000 from just five theaters for a $87,000 per-screen average. Focus Features' The Beguiled remake also opened strong with $240,545 from four theaters for a $60,136, Vertical Entertainment's Alien Arrival, which will debut alongside Neon's The Bad Batch, Indican's A Beginner's Guide to Snuff, while Neon's The Bad Batch opened with $91,074 from 30 theaters for a middling $3,036 per-screen average and the Abramorama documentary Food Evolution earned $3,311 from one theater. No box office data was given for another Abramorama documentary, F(l)ag Football, Arc Entertainment's The Operative, Strand's The Ornithologist, Screen Media's Ripped and Yash Raj's Tubelight. Looking ahead to next weekend, Sony Pictures will roll out Baby Driver on Wednesday, June 28, with the Universal animated sequel Despicable Me 3, Warner Bros.' comedy The House and The Weinstein Company's Amityville: The Awakening arriving in theaters Friday June 30 to close out the month. Also arriving in limited release is Sony Pictures Classics' 13 Minutes, Neon's documentary The B-Side: Elsa Dorfman's Portrait Photography, Gunpowder & Sky's comedy The Little Hours and Strand's documentary's The Skyjacker's Tale. Take a look at the box office estimates for the weekend of June 23, and check back on Tuesday for next week's predictions.